So, November is over and we are finally into the last month of 2018! Crazy eh? 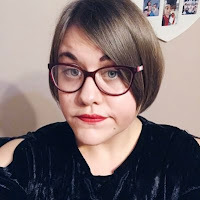 As it's the end of a month it is time for my monthly wrap up! I always look forward to doing these and it's always nice to look back at my reading. November was a great month for reading! I managed to read 7 books and I also completed my Goodreads Reading Challenge of 60 books! I am so happy about that and will be upping my goal for 2019. How was your November? How many books did you manage to read? 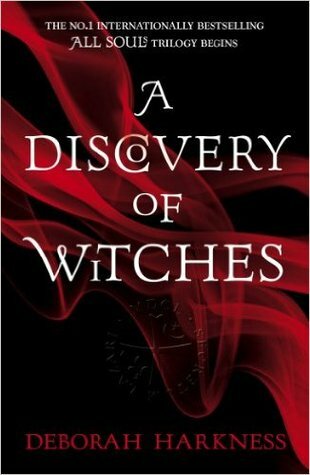 - After hearing a lot about this book around social media due to the TV Series coming out I decided to give A Discovery of Witches a read after finding it on the kindle store for £1.99 bargain! Yes, this was about vampires and witches but it was totally different the other books I'd read featuring those creatures. One - it wasn't YA and two - the plot was alluring and pulled me right in. Yes, the story is a slow burner and the some could say the first part of the book is slow to start, but it was necessary in order for us to find out the backstory to this very complex world. The second part however is very fast-paced and you don't want to stop reading. The ending itself had me dying to read the sequel (which I will be starting soon!). Oh and yes, I have started watching the TV Series and I am in LOVE with Matthew Clairmont..I think it's becoming an obsession. - I went into No Fixed Address not knowing much about it, but ended up devouring it in two sittings. This book focuses on issues that you don’t see enough of in YA, especially with regards to ‘hidden’ homelessness. Felix and his mum, Astrid, are living in a van and over the course of the story we get to find out the reasons behind this – some of which are quite shocking. Nielsen really brings home the reality of Felix’s situation, not just being ‘between homes’ but also the relationship between him and his mother, which becomes slightly strained over time. You can’t help but love Felix straight away. Despite having his own problems, he is very compassionate towards others and looks out for his friends and his mum first. His relationship with friends Dylan and Winnie is just heartwarming and I loved them as a trio. 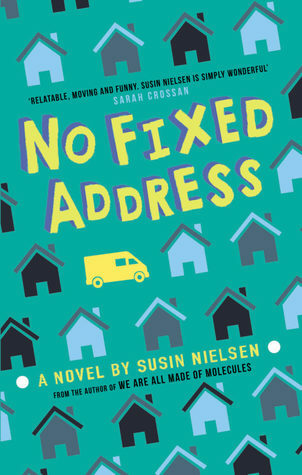 No Fixed Address is an excellent story about ‘hidden’ homelessness, friendship, family and finally getting the luck you deserve. - If you love futuristic stories with strong young women at the forefront then Jinxed is the book for you. I went into this book not knowing much, but, as you will discover I was amazed. The plot was quick and easy to follow with many twists and turns. There were times when I was gobsmacked at what had been revealed and this in turn made me want to read on. I was so invested in this world and story that I literally could not put the book down. Lacey as a character was a joy to read. I adored her ambition to become the best companioneer she could be. It’s also fantastic to see a female character in YA become so invested in STEM. I could certainly see her inspiring many young women to go forward and achieve their dreams in that field. 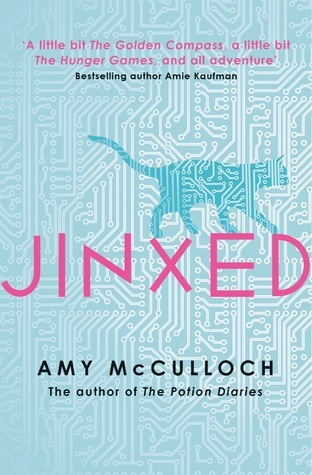 Jinxed was an addictive, fast-paced, exciting read that brings women in STEM to the forefront. 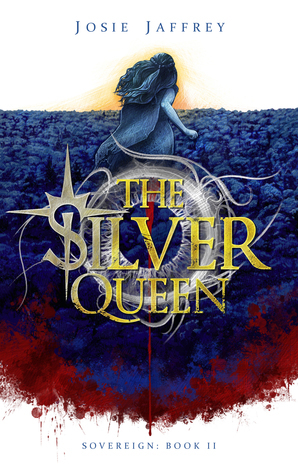 - The Silver Queen is the second book in the Sovereign series (I read the first book - The Gilded King a few months ago and loved it!). The Silver Queen I loved just as much, if not even more! It's action packed and gets your adrenaline pumping and at times I was hooked. I felt like the character development in The Silver Queen was a lot more prominent and Cam and Julia - our protagonists just seemed to grow in strength. This series has awoken my long lost love for Vampire YA and I cannot wait for the next book in the series. Give it to me now! - As someone who loves a good high YA fantasy I was instantly intrigued by Shadow of the Fox. This was down to two reasons - the gorgeous cover and the fact it was based on Japanese Mythology. I went into this book blind not knowing anything about Japanese Mythology and I'll admit I did get confused at times, especially with the many names of the creatures featured throughout the book. I also found the pacing to be somewhat slow - but this could have been down to the fact that it was the first book in a trilogy. What I did like about this book was the world building - it was just incredible! The descriptions were so vivid and had me imagining I was there. 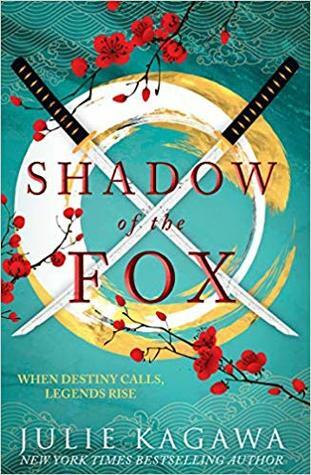 Shadow of the Fox overall was a good read and I can't wait to read book two. - I'd heard a lot of good things about this book so when I found out it was one of my YA book club reads for our December meeting I got rather excited. I didn't know what to expect from this book and I must say I was pleasantly surprised. Granted, when I started reading I wasn't sure if I was going to like it or not, however, when I got further into it I was literally hooked. 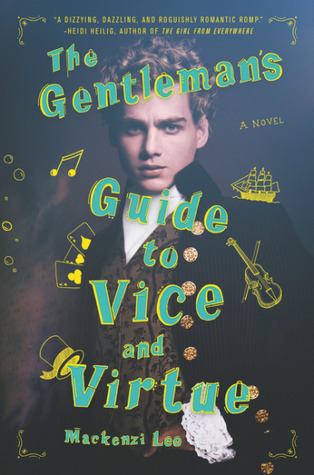 The Gentleman's Guide to Vice and Virtue is probably one of the wackiest, strangest books I have read in a long time and I think that's why I liked it so much. There were lots of twists in the story that quite frankly I wasn't expecting at all. I laughed, I cried and I felt all sorts of emotions. Bring on The Lady's Guide to Petticoats and Piracy! - I have loved the work of Neal Shusterman ever since I read Scythe at the start of the year and became obsessed! I received a sampler of Dry at YALC this year and ever since I'd been wanting to get my hands on the full book and let me tell you this..it lived up to my expectations and more! There is something about Neal Shusterman's writing that captivates me and wants me to just carry on reading no matter what I need to do that day. 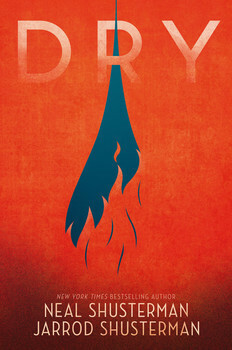 Dry had such a unique, intriguing concept and really got me thinking - I do love a good a thought provoking book. It kept me engaged and I just loved everything about it - although it did make me very thirsty! I've read both A Discovery of Witches and Shadow of the Fox. Loved the first one more. You had a great month! Happy December! November is already wrapped up as people are waiting for December to be Wrapped up.